Embracing Cottage Style: Ready for another party? What makes you get out of bed early Saturday mornings? What makes you giggle when you find it, specially at a good price?! What makes your heart skip a beat??? That's is the theme of our next Blog Party! 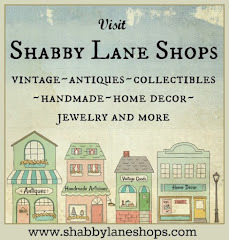 In the meantime, I'll be cleaning this place, bringing out the best china and ironing my vintage damask napkins...Hey! you deserve the best!!! "The ornaments of your house will be the guests who frequent it"
Hi Marcela!!! i love your blog parties... i am already thinking about what i am going to post!!! :D thank you!!! oh this one is going to be fun! Hi Marcella! Hope to join you for the party! The last one was a blast! Have a super week. Yes!! 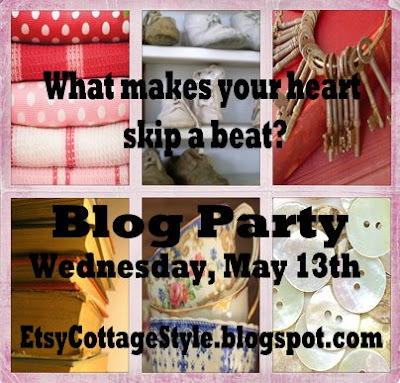 Another blog party!! I love them! This one sounds like a blast! Count me in, Marcela. Everyone is right your blog parties are the BEST!! A subject after my own heart! Count me in. What makes my heart skip a beat? Plenty, count me in! Hi Girls! Excited for the blog party! Be sure to check out my little nests I have listed on my blog in my recent post. They will be coming to my shop next week! Thanks Marcela for all the plugs here!